Jewish students feel increasingly under siege on American college campuses. The latest evidence? 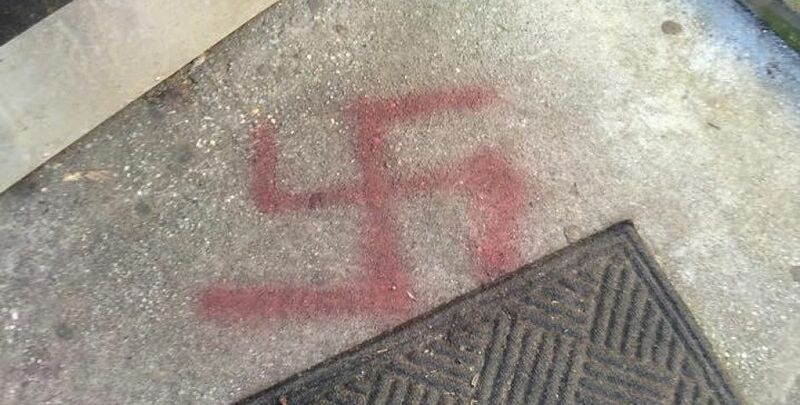 A rash of vandalism of Jewish fraternities or other centers of Jewish student activity. Whether they’re expressions of sober hate or malicious, drunken pranks, these acts represent, at best, a callous indifference and insensitivity and, at worst, expressions of hatred and intolerance toward innocent individuals based on nothing more than their ancestry, religion, and/or perceived associations. Virtually every jurisdiction in this country has enacted laws enhancing the penalties for bias-motivated crimes. But what is more important than the prohibitions found in the law are the prohibitions of the conscience and the intellect. This ought to be especially true on college campuses. Our institutions of higher education are the absolute last place this type of bigotry should exist, or, worse yet, be condoned. Yet they are occurring with increasing frequency on campuses across the country. Which ultimately leads to a simple, but wholly unacceptable, conclusion: anti-Semitism is being taught to these students. Perhaps not in a systematic fashion (although it seems to be heading in that direction), but certainly by example. When student government bodies succeed in passing anti-Israel measures, students learn to be suspicious of (if not outright hostile in their thinking toward) the nation of Israel. When individual professors take matters further, however, and insist that the government should silence the free speech of Israel supporters (never mind the First Amendment), students learn to personalize the issue. They are taught not to think and examine critically a global issue but rather to attack any individual they perceive as being associated with Israel, including by outward expressions of hatred, such as painting swastikas on Jewish fraternity houses and disqualifying students from student leadership positions for no reason other than their Jewish heritage or affiliations. Similar treatment of other minority communities is roundly denounced in this country. Indeed, it often triggers federal investigations. There is no excuse for campus intolerance against members of the Jewish community. At the ACLJ, we’re committed to defending Jewish students and professors against this wave of anti-Semitism. In fact, we’ve already won key victories. We cannot and will not be passive in the face of unconstitutional, unlawful discrimination. We're defending Israel, protecting Jewish students from radical attacks, winning cases, and stopping boycotts. Have your gift DOUBLED today. Have your gift doubled through our Matching Challenge.